In 2013, I coined the term 'co-sweating'. Although my newest word doesn't have quite the same ring, I think it does a pretty good job of getting the point across. Instead of making New Year's resolutions, I'm making New Year reflectsolutions. A reflectsolution is less aggressive than a resolution but more ambitious than doing nothing. It's reflecting on the evolution from last year to this year and adopting attainable adjustments that can keep the momentum going. It's basically the life version of deciding to try a little more cilantro to your good-but-not perfect guacamole recipe. This probably sounds silly coming from someone with two small tots who considers anything past 7am 'sleeping in', but I think that waking up just a smidge earlier will make me a better person. In fact, I've decided that waking up earlier will make me prettier (hi, time-to-do-my-makeup-somewhere-other-than-the-bus), happier (hi, quiet time with the early morning show and a cup of coffee) and less smelly (hi, time for a shower). No pressure, Morning. You got this. The early bird gets the guacamole. Did you read the January issue of Real Simple? Although I can't say I pored over every word of the article about finding balance (hey, the clothes don't fold themselves around here), there was one concept that really popped, and if you've had a more-than-five minute conversation with me in the past four weeks you've heard about it - a 'DB', or 'discretionary burden'. DB's are those tasks that we voluntarily but begrudgingly take on because we feel obligated/pressured/inadequate-if-we-don't and then instead of enjoying the process, we complain mercilessly, sometimes only to ourselves, before, during and after the whole thing. One of my reflectsolutions is to eliminate more DB's. Having a second child was a really good start in the DB purge process, forcing me to say no to things I may have 'ugh, okay'ed beforehand, but I'm not willing to have another kid just to edit out future DB's, so good old gumption will just have to do. Remember when I did this with my pinterest pins? Yeah, it's like that, only with like, real life. To continue my 'life is like a bowl of guacamole' analogy, this is me deciding that sometimes I can just buy Wholly Guacamole and call it a day. I don't need to grow and harvest my own avocados. Every now and then I'll beat up on myself a little about not doing enough. For instance, sometimes I feel bad about all the blog projects ideas that are dying a slow death in my 'future blog post ideas' list that i started in 2010 or how maybe I should be working with the duckling to stop calling his favorite movie Putz In Boots. Instead of getting caught up in how much better I could be doing one thing if I did just that one thing, I'm going to try to pull back and look at all the things I get to spend time on - a full-time job, motherhood, marriage, this blog, friends, my mom - and be grateful that I have so many things to enjoy. It takes more than just one perfect avocado to make guacamole. So there you have it - reflectsolutions. Are you feeling it, or are you biologically averse to cilantro? (It's okay, it's not your fault). Do you have resolutions? Or reflectsolutions? Dying to know. 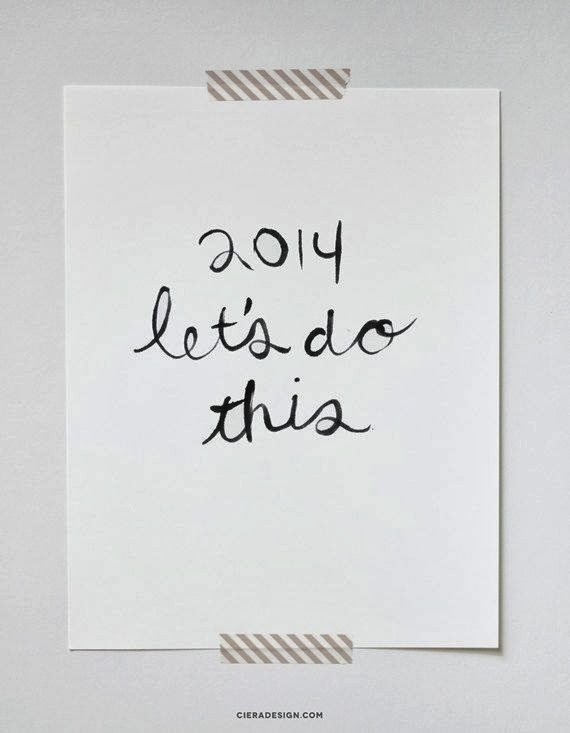 Here's to 2014. Let's do this. xo.